Seniors from St. Mary’s (and elsewhere) gather on the second Wednesdays of each month for a luncheon and program. 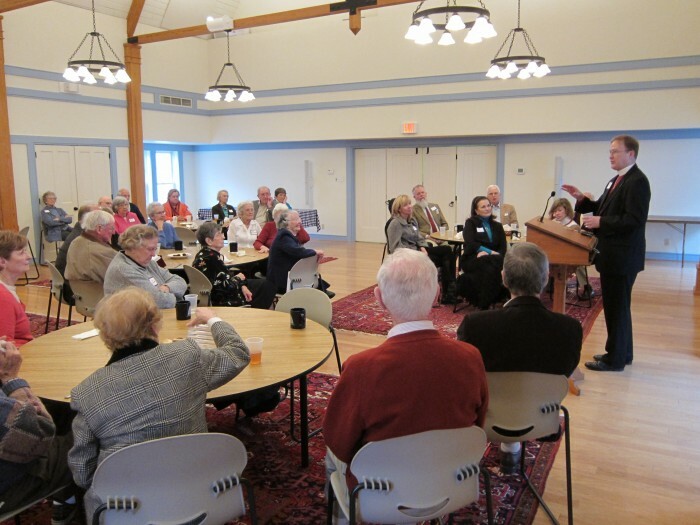 Often seniors will welcome a guest speaker, but program offerings include visits to St. Paul’s Lenten Lunch program, special worship services, and more. All ages are welcome–you need not be a senior to enjoy the delicious food and wonderful company! Suggested donation is $5 per lunch. Learn more about the Seniors’ Program by contacting Allen Ferguson at (804) 282-0211. October 9: This month’s speaker is David J. L. Fisk, Executive Director of Richmond Symphony. November 13: This month’s speaker is Tim Joyce, President of YMCA of Greater Richmond.